Make your darling daughter's wardrobe more fun and exciting by adding a bunch of colorful dance skirts. kilofly Sheer Wrap Dance Skirts are the most adorable set of dance skirts that any girl would love to wear. Each of the sheer wrap is light and breezy, making it a perfect addition to any pair of leotards. They are great for dance classes, recitals, plays and more. With their soft chiffon fabric and adjustable tie closure, they look dainty and move beautifully as your darling dances. Definitely a closet Must-Have today! 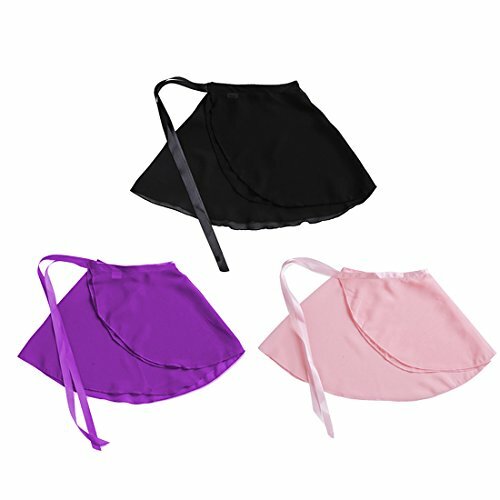 This value pack includes 3 chiffon dance skirts of different colors as shown in images. Notes: Colors may vary slightly from the pictures due to different computer monitors and their settings. kilofly is a trademark exclusively licensed and distributed by kilofly Group. All rights reserved. If you have any questions about this product by kilofly, contact us by completing and submitting the form below. If you are looking for a specif part number, please include it with your message.